APRIL 20--Usually, when U.S. postal inspectors seek a search warrant to open a suspicious package, they are expecting to find illegal narcotics inside. But when agent J. David McKinney recently took possession of an Express Mail box, he knew that the contraband inside was not likely of the powdered variety. Because 'the package was moving,' according to a court affidavit filed April 15 in U.S. District Court in Roanoke, Virginia. 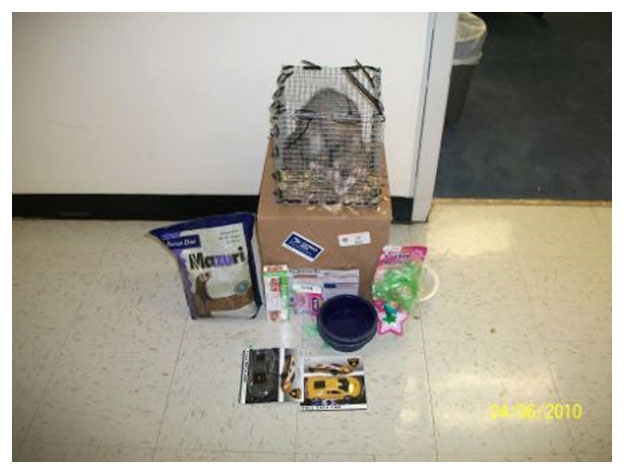 After determining that the return address on the 10-pound, 13-ounce box (which carried $63.55 in postage) was phony, McKinney obtained permission from a federal magistrate to open the parcel, which sat on his desk and 'moved periodically.' 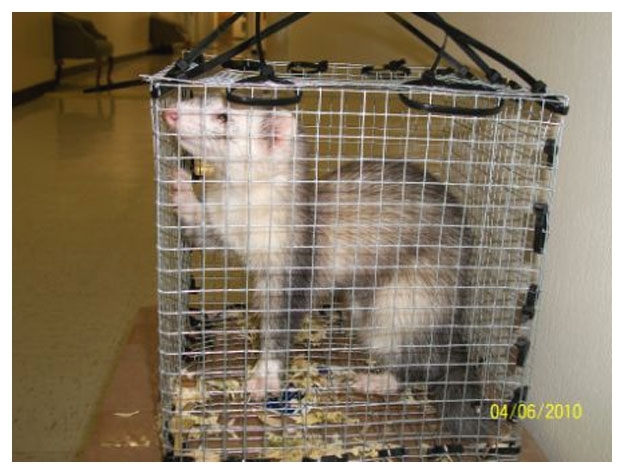 Inside, as seen in evidence photos, McKinney discovered a live ferret in a homemade wire cage. 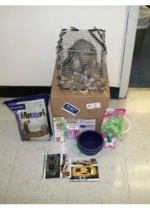 The box, destined for someone in Puerto Rico, also contained ferret food, some 'ferret dietary supplement,' and a box of Children's Bendaryl, with one tablet missing, according to an inventory sheet. 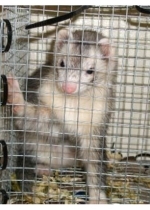 Presumably, the ferret--who appeared groggy when the package was opened--was given the allergy medicine as a makeshift sedative by the unknown shipper. 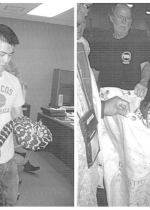 McKinney told TSG it was the first time in his 20-year career that he intercepted a live animal destined for the U.S. postal system (it is illegal to distribute such 'non-mailable animals'). 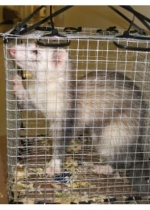 McKinney added that he was relieved, upon opening the package, to find a ferret, and not a snake, inside. 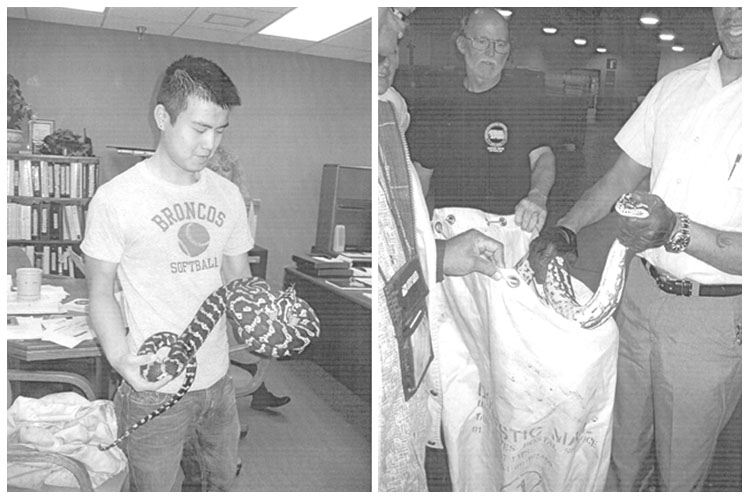 His affidavit describes a previously unreported incident in which an eight-foot python (seen here) was sent via Express Mail to a Kansas address ('the snake was discovered loose with the mail in the Postal Truck,' according to McKinney). 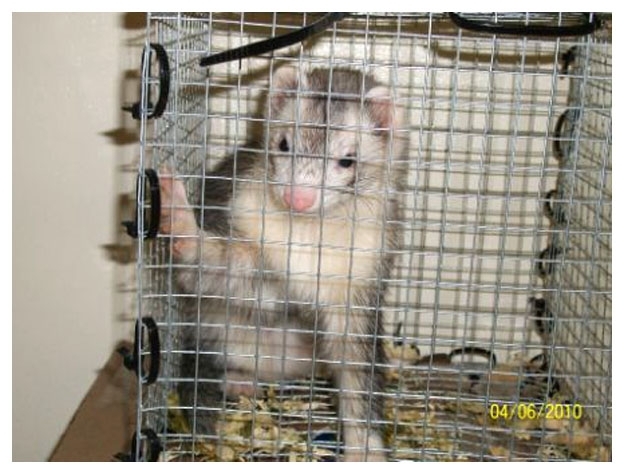 The reptile had been mailed from the same Lynchburg post office where the ferret was deposited April 5.